The Artisan Group is proud to announce today’s Artist Spotlight Feature is Andrea Bernstein of AB Glass Jewelry! Tell us a little bit about your shoppe. My fascination with color and patterns began at an early age. I commenced my training at the National Art League at the age of seven years old and received a scholarship to Pratt Institute at the age of 12 years. Painting with oils, acrylics and watercolors until adulthood, I also dabbled with printmaking, stained glass, photography and accessory design. Always intrigued by dichroic glass, I decided to take a class at a local art league and I was captivated. The possibilities are endless. Each piece is unique and one-of-a-kind because of inherent properties of the glass. Dichroic glass reflects one color while transmitting a completely different color! As a warm glass artist, I continue my journey of self-experimentation by utilizing the techniques of silk screening, etching and engraving on dichroic glass. Growing up amid the cement walls of the New York City, I was fascinated by a tree outside my window. I often studied it, observing the ways it found life in an otherwise barren place. Its growth represented the ability to flourish and instilled in me a greater adoration for nature. When I began creating pendants, that tree naturally became a representation of my company and the foundation of the “Tree of Life” collection. As a retired School Psychologist and School Administrator, I have found more time to devote to my creations. I have taken classes at Parsons School of Design and the Corning Museum of Glass in order to enhance my skills. Further, I have recently begun to experiment with lost wax casting and metalsmithing which I am enjoying immensely. What is your favorite product from your shoppe and why? 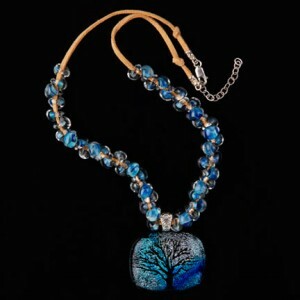 My favorite creation is my Tree of Life necklace which I have named “Winter Dreams” that was on display in the 2013 GBK Golden Globes Gifting Suite. I adore this necklace because its color and sparkle emits a sense of joy and hope despite what may appear to be a cold and dreary winter day. When you’re not handcrafting such impressive glass jewelry, what are your hobbies? When I am not designing glass jewelry, I volunteer as an advocate for children with disabilities. I have dedicated my life to being the “voice” for children who may not necessarily have a say in their life’s path. Additionally, I volunteer as a mentor for high school students who are considering the fine and applied arts as a collegial course of study. What do you like best about The Artisan Group? I became a member of The Artisan Group in April of 2012 to further develop my craft and my business. Not only does TAG offer a great deal of knowledge and support to its members but it has forced me to challenge myself by creating new and innovative designs that I never dreamt of executing. Being a member of the group has elicited a deeper passion for what I love to do. 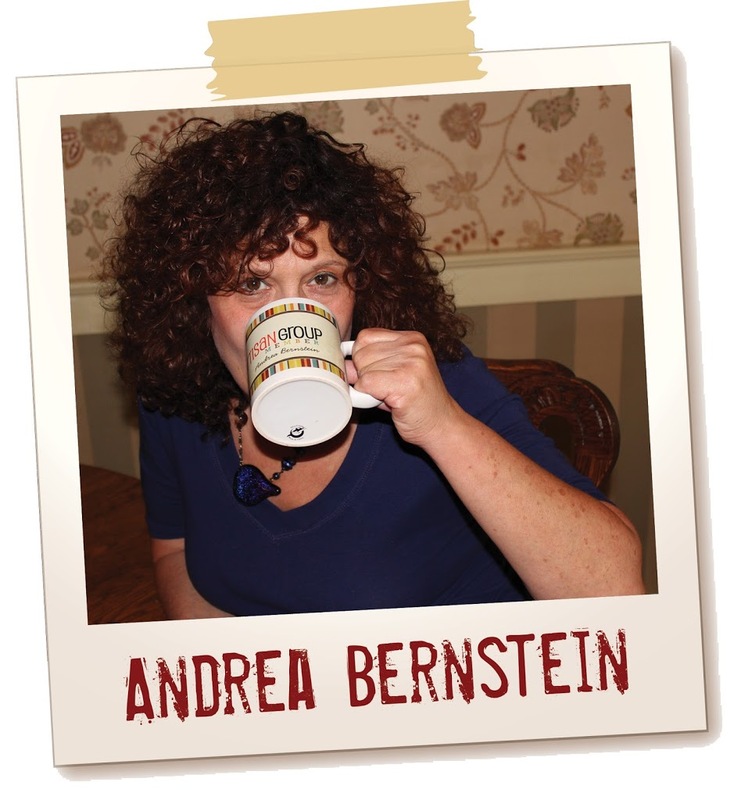 Andrea recently participated as a display participant in GBK’s Golden Globes Celebrity Gift Lounge held January 11-12, 2013 in Beverly Hills, California in honor of the Nominees and Presenters of the 2013 Golden Globes.